General Contractor: John W. Egan Co. 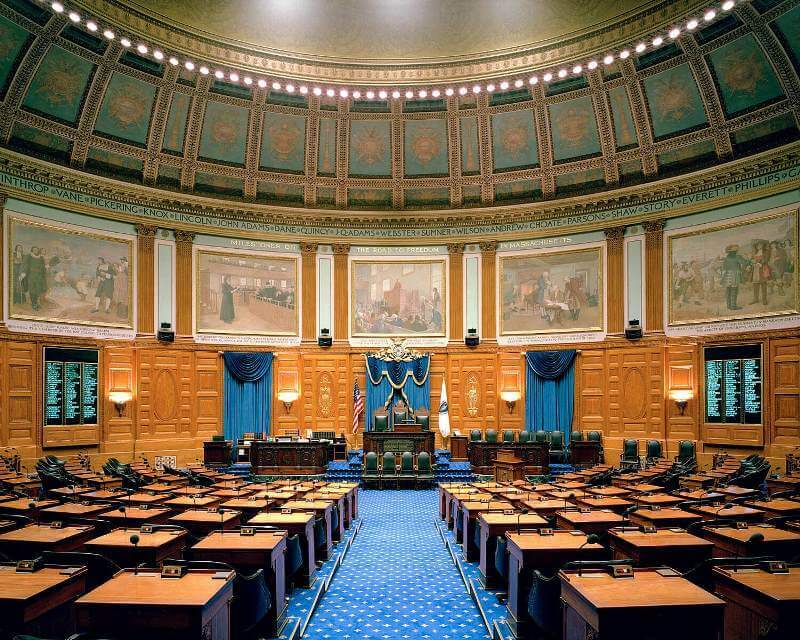 Located on the west side of the Brigham addition to the state house building, the Massachusetts House of Representatives chamber is now home to the Massachusetts Senate. A monumental space, the chamber is clad in intricate wood panels and classical Corinthian pilasters, which Muckle had the honor of restoring during the 1998 interior restoration of the room. 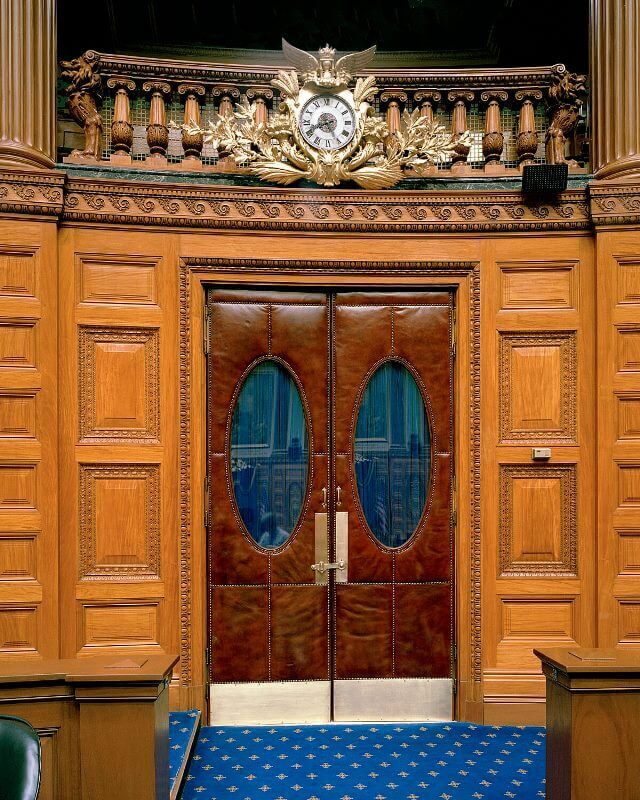 During the interior refinishing of the Chamber, Muckle performed all the repairs and restoration to the wood paneling, doors, and windows; replicated decorative trim work including intricate egg and dart and spool moldings; and patched to repair damaged original fabric; and fabricated custom cabinetry for the roll call stations. Muckle’s work included research on the wood species used in the panels, which was determined to be primavera, which Muckle successfully located and imported from South America for fabrication. Muckle completed the scope of work one week ahead of a very aggressive schedule.